What Can I Do To Help Animals on a Global Scale? Making change with energy and intention is actually one of the fastest and most effective ways to make change for the better...Indeed, it begins within each of us to change and affect our outter reality for the better. So here is a faboulous practice anyone can do on their own, anywhere, anytime, and it will actually have a significant affect, particularly if practiced on an ongoing and regular basis, even if for only a few minutes every day. Find a quiet place where you can sit without interruption for at least ten or fifteen minutes. Choose some appealing still point to focus on (a sacred geometry symbol is fabulous, or perhaps some other kind of sacred symbol of your choice) or just close your eyes if you are able to. Begin to breath deep belly breaths in through your nose and down your breathing apparatus. Notice, feel and follow the breath as it goes in through your nose and down into your belly. As you breathe deeply and calmly, begin to identify the breath as love, rather than as oxygen, in other words, let the breath that you inhale actually be love. Breath in love into your trillions of cells and exhale whatever is bothering you or any heaviness, stress or anxiety. On the exhale, choose to release all thoughts, feelings, emotions or whatever might come up - just allow them in, acknowledge them and accept them, whatever they are, and then exhale them out, and then once again, inhale some more love. After only a few moments, you will notice how light and relaxed you are. As you continue breathing, begin to alllow yourself to focus on someone or something or even a memory of an experience where you were truly happy and fulfilled. Ideally, this experience can be connected to an animal - and one where you and the animal were happy and joyful and you both felt loved and accepted. You might also choose to focus on animals of the planet as a whole collective in general - just be sure to stay focused on love and joy and happiness as you breathe. Continue the breathing as you focus on this. As you breathe, intend with your mind (you can even state it out loud) that all animals of planet earth be treated with kindness, respect, honor, compassion, dignity and humanity. Afirm this repeatedly with each breath. As you continue to this process, you can also focus the breathwork on your heart center too, since it is a major energy center for love, compassion, kindness, forgiveness, peace and harmony. Allow yourself to also feel lots of gratitude and to express gratitude by saying  Thank you that this is so outloud. You can also invite in animals into you mind who you know or have known personally as you continue this process, again, repeating the gratitude for their health, happiness and well being. Just keep in mind that in this particular practice, it is important to always focus on the positive experiences with animals (again, including the human variety), so we can create more of those kinds of experience on planet earth. Believe it or not, ten to fifteen minutes a day of this kind of practice will actually as you in healing yourself and your animal friends too - plus it will really help support all animals globally, because you are working with energy, intention and consciousness. I hope this is helpful, Renee. As I often say, transformation of humanity s issues is a process, not a pill. Without question, it is every  normal, everyday, average person like you and me too, who make the difference in this world to create a better future for all of humanity. Lori Spagna is a Best Selling Author, Speaker and Visionary who practices and teaches Animal Communication, Intuition Development and Energy Healing and also provides Sacred Energy Transmissions and Dormant DNA Activations for both humans and animals. Receive a FREE mp3 class to Learn Animal Communication and a FREE mp3 class to Develop Your Intuitive Abilities when you visit  HYPERLINK "http://www.LoriSpagna.com" www.LoriSpagna.com. Lori also teaches about Ascension and acts as a guide to other awakening Lightworkers, Starseeds and Wayshowers. Receive a FREE mp3 class to Learn Animal Communication and a FREE mp3 class to Develop Your Intuitive Abilities plus a Juicy Living ebook when you visit  HYPERLINK "http://www.LoriSpagna.com" www.LoriSpagna.com. When you are not committed to and aligned with YOUR Soul’s Highest Journey for YOU, your actions and behaviors are in opposition from what you know you should be doing and what you really and truly want to do…so unless you raise your level of personal commitment and investment in YOURSELF, you may as well surrender to the ‘why bother’ and ‘nothing’s ever going to change’ philosophies, because you will just stay exactly where you are and where you always have been….Period. End of story. Commitment to YOUR Soul’s Highest and Best Journey means to commit yourself to investing in YOU!!! It also means that you devote yourself to YOU completely!!! As far as I know, the only real way to do this is to actually COMMIT, take the next appropriate action and move forward, with 100% conviction, decisive action and focus and without waiting on some self made excuse for why you can’t do it NOW. But those are only excuses and blocks and they are EXACTLY what is SUPPOSED TO COME UP just before YOU COMMIT TO YOU!!! As for me, I would rather commit to ME, and say good-bye to all the doubt, fear, limitation, hesitation and lack…when anyone commits to anything, the Universe lines up and YOU GET IMMEDIATE results. Get out of the spiritual closet!!! I AM looking forward to assisting and supporting you with aligning with YOUR Soul’s Highest and Best Journey for YOU. Lori Spagna is a Best Selling Author, Speaker and Visionary who practices and teaches Animal Communication, Intuition Development and Energy Healing and also provides Sacred Energy Transmissions and Dormant DNA Activations for both humans and animals. Lori also teaches about Ascension and acts as a guide to other awakening Lightworkers, Starseeds and Wayshowers. www.LoriSpagna.com. The Animals View Point ~ What's Ahead for the Animal Kingdom? Yes, it is true - the animals have many insights and much wisdom to share with us regarding their perspectives about life for all living beings on planet earth, as well as the general climate and upcoming events we can expect to collectively experience, particularly with respect to animals. In fact, at the moment this question came up in my mind, there was a collective voice of animal consciousness which came in and said, Yes! Yes! Let s reflect on this for all animals - humans and non humans! We are honored and grateful to be called upon today. We are aware that we are often consulted for more personalized information and insights, most generally related to our individualized beings and the persons our domesticated individual selves co-habitate with, so it is our great honor and pleasure to share our insights with you on this particular topic, here, now. Firstly, we are aware that for those of us who are currently animal beings in physical form, life is beginning to get better for us as a group, in general, particularly with respect farm and captive animals and also with respect to domesticated animals. For the farm animals and other captive animals, your societies and organizations are beginning to look at, explore and even put more finanical investment into supporting more ethical, humane and quality control practices with respect to farming and animal husbandry. In fact, more and more attention is being directed at the inhumanity associated with keeping animals in captivity at zoos and aqcuariums and circuses. For this we are grateful because even though from our visionary viewpoint, we understand the greater picture as to why we collectively and individually agreed to experience these things, ie, that is for the awakening of humanity s consciounsess and choice to be more kind and compassionate, we still feel deeply for our non human brothers and sisters who continue to experience these kinds of abuses and misuses associated with human ignorance and mistreatment. We also recognize that animal testing for cosmetics and medical instutions will also soon be almost completely eliminated in the coming years, since we recognize that the shifts of consciousness will soon make everyone their own healer and will certainly have them choosing and desiring more all natural cosmetics and toletries as well as treatments to current day ailments and in fact there will be significantly less illness. For this we are also all grateful. With that said, our eagle eye visionary view can and does see a near end in sight over the coming years for the inhumanity and the injustices of all kinds for animals in captivity. And while there is still a long road ahead for the kind of transformation we as an animal concsiousness would like to see, we recognize that this is an indication that humanity is indeed becoming more compassionate and caring, which is part of our divine mission and purpose on planet earth. For those of us who are living with a human companion, our lives are also, in general, improving, mostly because of the awakening regarding better quality food and nutrition and improved, wholistic healthcare, as well as the ever growing emergence of humans who are actively engaged in practicing animal communication and telepathy - this pleases us greatly. As for those of us who are part of the wild animal kingdom, many of us are faring not as well, due to the conditions on planet earth and the disregard which humans have demonstrated for the water, land and air, including our natural habitats and also of course incluing many of the most inhumane practices related to teritory dominance and hunting which still continue to exist and are generally not where the global attention has been yet directed to - indeed, it has even been sometimes deliberately diverted away from by those who wish to continue these practices. Moreover, many of our animal species brethern will choose to leave as a colllectvie group and move on to other realities, as our Sacred Contracts with Earth have been to demonstrate the harmful effects of not caring for the environment ~ the land, water and earth ~ and therefore at the fulfillment of these contracts, we in these sub groups are free to move on to other realms of reality and enjoy a more peaceful, harmonious and benevolent existence. None the less, the seeds are now planted for the sprouts of all of this to more fully emerge in the coming year of 2015 and beyond. We see the overall picture as oportunistic and optomistic for all the animal kingdom, including the human variety of animals as well. We say this because the entire reality for all animals, both human and non human, is undergoing an intense flow of insights and points of view, and as always we know that the choice is almost entirely up to each of you to brighten or dim this perspective based on your unique point of reference. We thank you again for allowing us the joy of sharing our individual and collective contributions. Wow. Well that s a lot to salivate over, chew on, gulf up, swallow down and perhaps even snarl at. What a most provacative question and an equally provacative response. Interestingly, the year of 2015 is also the year of the Goat/Sheep/Ram in Chinese Astrology. This means that the 2014 Year of the Horse passes the batton to the sheep/goat/ram signifiying a shift from fast moving fire to a more steady, foundationally secure, sometimes gentle and somewhat less confrontational year for all animals, both human and non human. Indeed, Chinese astrology seems to agree with and even validate the animals viewpoint. Lori Spagna is a Best Selling Author, Speaker and Visionary who practices and teaches Animal Communication, Intuition Development and Energy Healing and also provides Sacred Energy Transmissions and Dormant DNA Activations for both humans and animals. Lori also teaches about Ascension and acts as a guide to other awakening Lightworkers, Starseeds and Wayshowers. What Can I do to Heal My Pets Cancer? What Can I Do to Heal My Pets Cancer? What Can I Do to Resolve My Companions Diarreah? This week, I am addressing two inquiries regarding common issues with our animal companions ~ both of which are related to physical dis-ease. My 13 year old dog Bella has recently been diagnosed with bone cancer after bringing her to the vet for a broken bone.† I was told her broken bone wouldn t heal. I won t accept that. I want my girl to be able to walk and play as long as she possibly can. I play her healing crystal bowl music, I send her as much healing energy as I can. I hold my hands over her break as long as she will let me trying to fill her with healing energy and I use a combination of essential oils. Any suggestions about what else I can do? Thank you from the bottom of my heart! I have enjoyed reading your articles in Whole Person. Do you have any thoughts on my dog Apple? She has been having diarrhea for five straight days. She does not eat much and her energy level is good. Any suggestions? Thanks in advance. While at first glance, it may seem as if diarreah and bone cancer are two unrelated issues, I invite you to look again. First, recognize that from a Quantum physics point of view, all physical issues begin in the non physical realm, with the sub atomic particals known as quantum. Indeed, from a Spiritual point of view, this is also true, though we might call the non physical issues, thoughts, beliefs and emotions/feelings. Second, we also know factually and scientifically, that there are realms of existance beyond the physical world we exist in. In fact, everything we see and hear in the physical realm is only .05% of the totality of everything which actually exists. Wow! What about the other 95.95%? Let s table that for a moment and come back to it. If you are familiar with my work, you know that I teach that our animal companions are always taking on our issues, our thoughts, ours emotions, our energy (sub atomic particals in the quantum field known as quanta) with an intention of healing and serving us. So what does all of this have to do with healing bone caner (or any cancer for that matter) and healing diarreah? Hang on to your hats folks ~ this is where it gets really good. If you want to heal your pets issues, you have to look at the point of the creation where the issues first began and work through it on all levels. All levels means that the issues must be addressed the physical, emotional, mental, energetic, spirtual (which includes light and sound and pure consciousness, or what I call divine inteniton). And since your animal companion is taking on YOUR issues in an attempt to heal YOU, and to assist YOU in YOUR awakening process and in YOUR evolution, that means, YOU are the point of creation. Note: I said creation, not blame. Cancer is due to holding onto toxins - in the emotional realm, cancer is anger, resentment, rage and fury. In the mental realm, cancer is toxic thoughts and a lack of forgiveness, ie, release. Bones are related to the structure of our lives and also authority and authority figures. Diareah, on the other extreme, is from letting go of too much energy, too fast. Interesting extremes, right? You can see how these two issues are indeed related. Two polarities, kind of like yin and yang. One must learn from the other. One can balance the other. Sure, there are plently of things you can do on a physical level to help your animal companions. For example, heal both bone caner and diarreah on the physical level with large ammounts of hemp oil added to your companion s raw organic or home prepared live food (NOT overly processed,  dead food in bags or cans) using a balanced, species appropriate diet, and a daily regiment of pure bone broth (find the recipe from Dr. Karen Becker on You Tube) plus powerded Collostrum (my favorite variety can be found on line at LongevityWarehouse.com and comes in a pure powder). Add organic pumpkin to the food to help with the diarreah and Cissus (also found at Longevitywarehouse.com) to heal broken bones at a lightning fast pace. Addressing the physical issues are indeed important and helpful. But they are only .05% of the solution. Ultimately, for the full healing, you must address these issues on all levels and all aspects where the issues exist right back to the fundamental point of creation ~ within YOU. Remember: YOU are the point of creation. YOU are what needs the healing, at the point of origin. Geinah, you are going to be a fabulous healer one day. This process is going to serve you well. However, you must look within for the solutions you seek. Where are you harboring resentments, anger, fury, rage and judgements on both conscious and an unconsious levels? Where are you giving away your power to others? Where do you need to learn to let things go and release them with love and forgiveness? Tom, you are going through a massive inner transformation and change. I am literally the apple of your eye...your joy and happiness...you won t let anyone or anything stand in your way of your own personal happiness and growth. However, you must look at where you have been letting go of things so quickly that perhaps you may not be taking in the major gifts of the learning and the benefits of the experiences. How might you be working to release people, places and things so fast without allowing the more desireable things to come in and take their place and more important, where do you need to learn to receive with diginity, ease and grace? This information is paraphrased from each of your animal companions. They are brilliant! Take time to reflect on and receive their wisdom for you. Thank you for allowing me to shine their light on you! Lori Spagna is a Best Selling Author, Speaker and Visionary who practices and teaches Animal Communication, Intuition Development and Energy Healing and also provides Sacred Energy Transmissions and Dormant DNA Activations for both humans and animals. Lori also Lori also teaches about Ascension and acts as a guide to other awakening Lightworkers, Starseeds and Wayshowers. Lori Spagna radically transformed her life after a series of near death experiences while living in Maui. 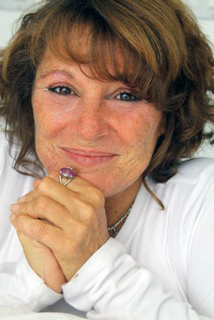 She is a best selling author of the book, 'How Psychic Are You? : 7 Simple Steps to Unlocking Your Psychic Potential' as well as 'Animals in the Afterlife' and 'Learn Animal Communication', as well as the author of the upcoming book, '2 Years in Maui'. As a visionary and Lightworker, Intuitive and Healer, Lori leads powerful manifestation and healing circles where she assists people and their pets to improve their lives by tapping into their true power via The Universal Source which exists within and connects us all. Lori also provides Sacred Energy Activations, Healing Transmissions and DNA Upgrades for people and animals. The Animals Viewpoint-What's Ahead For The Animal Kingdom?